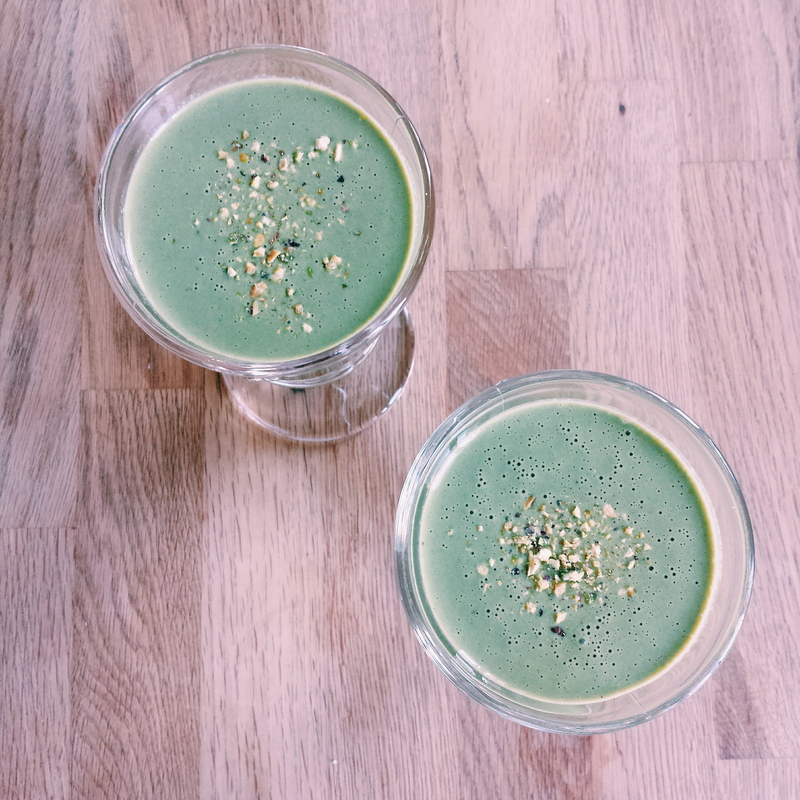 2014 was the year of green juice and smoothie. People were seem to be buying Vitamix blenders and slow juicers like these gadgets were the latest fashion accessories. I wonder about food trends sometimes. Although I do admit, we don’t eat or style food like we did back in the 70s (canned pineapple slices, maraschino cherries, baked with ham, for example. ), and thank goodness those days are long gone, who on earth starts these crazy trends? Smoothie has been around way longer than kale juice. Until about a couple of years ago, kale juice was mostly drunken by bygone hippies from the 60s and 70s ,who still owned the same juicers from back then. Back in high school in Adelaide, a new smoothie bar opened up. It was called Boost Juice. Many of my friends went there on weekends to buy smoothies with super food supplements. The word “super food” wasn’t really around at the time, and we, or at least, I, felt cool drinking blueberry mango smoothie with wheatgrass powder, acai berry, or other strange supplements that were foreign to a 17 year old self. I must admit, those over priced smoothies kept me going during my final exams. Unfortunately, friends back in Australia tell me that Boost Juice isn’t what it used to be. What a shame. Regardless of the smoothie trend in the last years, I’ve been making smoothies regularly in my kitchen for breakfast for a long time, especially when I’ve had too much to eat the night before, when I have overripe bananas, or when I’m just too lazy to chew. (Bless the person who invented the hand-held blender). Matcha, or also known as green tea powder, became popular in Korea and Japan in the past decade. It’s hailed has “superfood”-whatever that means in reality- by the health food bloggers since last year or so, and somebody decided almond milk matcha latte is the new new green juice of 2015. My annoyance aside, I’ll always love matcha. The grassy, vegetable-y, and slightly bitterness is so unique. It isn’t so forth coming on your palate, like black tea, for example. It’s like drinking green tea, but tastes and smells more grassy. In Korea, one of my favourite cafes is run by a green tea company, O’sulloc, from Jeju Island. The cafe is tastefully designed, and not only do they have amazing ranges of tea, but many of their pastry products incorporate matcha. I always get a chocolate mousse cake with green tea when I’m there. They also have fluffy matcha chiffon cake, matcha truffles, matcha shaved ice… you name it. 1. Peel and slice the bananas. Freeze them overnight. 2. Blend the rest of the ingredients with the bananas until smooth.